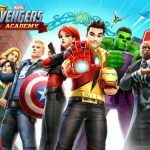 Marvel Avengers Academy, as you probably know thanks to our previous tips and tricks for the game, is an Android and iOS game from TinyCo where your goal is to build the ultimate Super Hero academy, while playing as teenaged versions of your favorite Avengers. 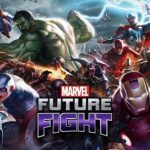 You’ve got younger versions of Iron Man, Hulk, Thor, Captain America, and other Avengers members, with Iron Man being the first to sign up to Nick Fury’s new Avengers Academy. And since you’ll be controlling teenage superheroes, there will be a lot of college student-centric activities in this game, such as going to class, dating, confronting rival cliques, and creating dorms, classrooms, labs, training facilities, and even stadiums. We’ve already talked about some general facets of the game in our previous Marvel Avengers Academy guide. Now, in this new Marvel Avengers Academy strategy guide, we’ll be talking about the game’s latest update, which adds limited-time events. As of this writing, the limited-time beach quest had just expired, but we shall use that for our examples, and as a potential blueprint for other limited-time quests that may follow. First of all, let’s talk about the requirements that were needed for the beach event. The good thing is that the requirements are quite easy to achieve if you’ve been playing the game for some time. For the beach event, the required characters were Iron Man/Stark, Wasp, and Loki, while the Costume Shop, and a total 100 credits were needed at that time. Regardless of the requirements, make sure you’ve got enough time allotted for side missions before proceeding! 2. How Much Lead Time Do You Need? In relation to what we told you about having enough time allotted, you may be wondering how much time you need to work on for limited-time events. We would suggest giving yourself about a week or more, which may sound like a pretty long time to set aside. But since a lot of the individual upgrades take quite a while to complete, a week is actually stretching it a bit. Consider this – the Level 3 beach upgrade, for instance, took more than one full day to complete! 3. What Happens If You Don’t Complete The Special Event? If you’re at a point in the game where you’ve still got a ways to go in the main story, meaning you’re still in the process of seriously leveling up, you can still take part in side quests. You may not be able to finish everything on time, but even if that’s the case, you’ll still earn yourself some gold and other freebies as a consolation prize. If you’re able to complete a special event, you can buy some special costumes and save yourself on credits or other in-game currencies used to buy them. You can also buy new decorative items for your academy, as well as some premium costumes that will mainly be there for cosmetic purposes, but have no bearing on the main story. That was the case with the beach event, and we’re expecting more exclusive costumes and décor in limited-time events to come. 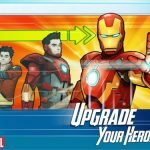 This is our latest set of tips and tricks for Marvel Avengers Academy. In case you want us to cover some others aspects of the game, be sure to let us know!